Set of five (5) intact concrete dragons teeth tank traps with bases, perfect for use in many modern and sci-fi wargames. 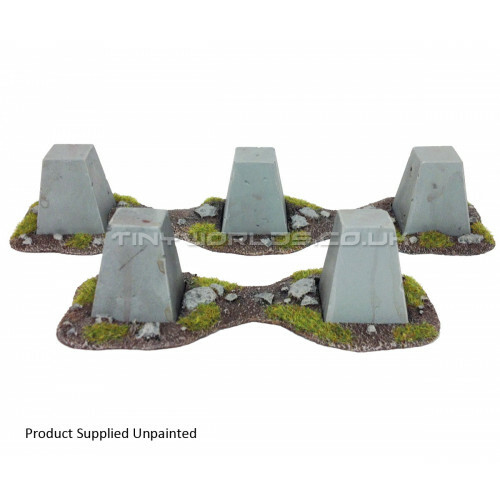 Each trap is 30mm in hieght by 25mm in width (not including base) and perfect as scatter material around the battlefield or as cover for your troops to hide behind. Ideal for 28-32mm scale.